The birthplace of Orange County, San Juan Capistrano is a venerable community that reflects the history of California itself. 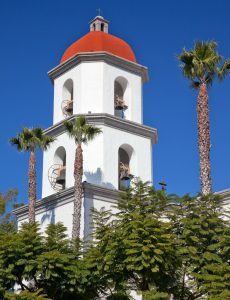 The city was built around Mission San Juan Capistrano, known as the “Jewel of the Missions”, which was founded in 1776. Mission San Juan Capistrano is considered the most beautiful of all Catholic missions in California and is now one of the state’s most important cultural and historical centers. San Juan Capistrano today is a major tourism destination. Visitors here are taken back to the earliest days of California, with the city’s well-preserved historic buildings and landmarks and newer community hubs designed to capture the region’s early Spanish influences. Underneath the nostalgic exterior, however, is a bustling, progressive city teeming with businesses of all sizes, and a vibrant community of long-time and new residents. San Juan Capistrano is centrally located in Southern California and is home to commercial and residential districts set amid acres of open space. With 40% of the land devoted to public parks and greens, the city offers a tranquil, small-town lifestyle and great access to everything southern Orange County has to offer. San Juan Capistrano offers something for everyone – from luxurious mansions and estates to affordable single-family homes and condos, and everything in between. The Mission Area, which encompasses the Los Rios Historic District, is the site of homes built before the 1900s, including a few of the mission’s earliest adobe houses. The city also boasts upscale gated communities featuring multi-million dollar homes sitting on expansive lots, with top-of-the-line finishes and features like swimming pools, formal living rooms, gourmet kitchens, tennis courts, and more. Many of these homes are part of equestrian communities or are working ranches, both of which are widely found in the city. More affordable homes are available in more recent family-friendly developments and subdivisions. These properties come in a wide range of sizes and prices, and many come with community amenities such as swimming pools, clubhouses, sports courts and others. The housing stock in San Juan Capistrano also includes luxurious and affordable condos. Some of the priciest residences are situated within exclusive golf communities or gated subdivisions with year-round resort amenities. More affordable options can be found in areas close to the downtown area with nearby schools and shopping centers. The city’s most defining feature has been the center of Orange County since its founding in 1776. It remains a wonderful reminder of California’s earliest history, preserving relics from the original mission and its earliest Native American converts. Within the mission, grounds are the original Stone Church, which has been partly destroyed by the 1806 earthquake, the Friars’ quarters, adobe barracks, cemetery, garden and many more. This is one of the oldest neighborhoods in Orange County and is the home of 31 historic structures found along Los Rios Street, between Del Obispo and Mission Streets. These structures include adobe homes built in 1794 for the families belonging to the mission, as well as a large number of homes built from 1887 to 1910. While many of these homes remain residential, others house charming shops and restaurants. Also known as Fiestas de las Golondrinas, this two-month long festival begins in February and ends in March. It celebrates the return of the cliff swallows on their annual migration from Argentina – an event that took place annually until 2009 when the swallows adopted a new habitat in the Chino Hills. Despite this, the festival remains one of San Juan Capistrano’s major attractions, featuring such activities as the governor’s ball, the Swallows Day Parade, and the Mercado Street Faire.